A mixture of Rainforest tea and aromatic tea Flowers. 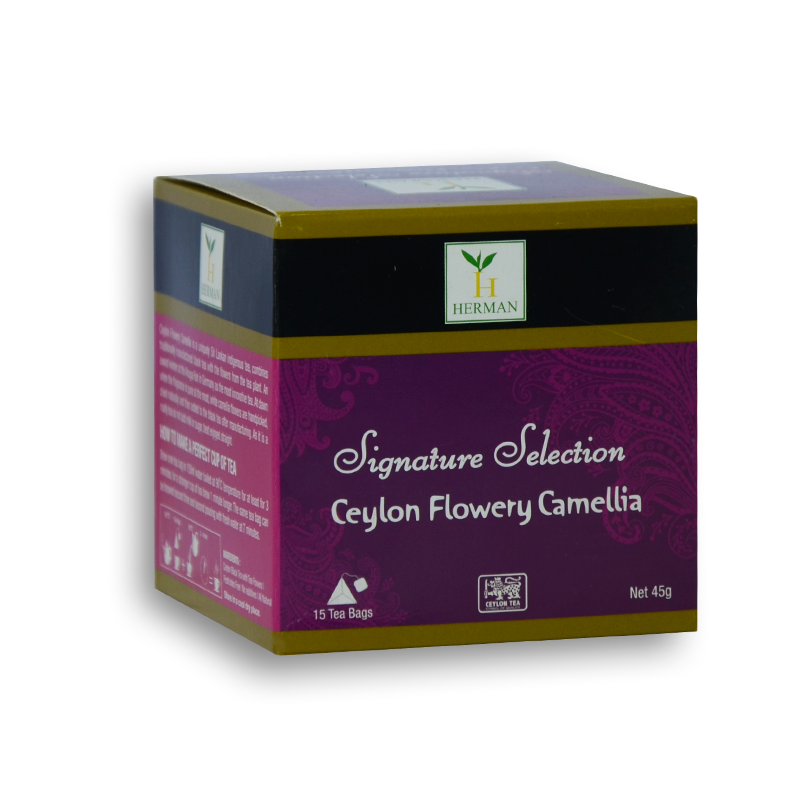 Ceylon Flowery Camelia is a unique blend produced only at the Handunugoda Tea Estate. Flowery Camellia, has a hint of malt in its taste and could be called a Malty Tea.